£15m dementia centre plan will create 150 new jobs in Wrexham | News by Wales Express News, People Before Profit! A leading care organisation has revealed £15 million plans to build a dementia centre of excellence in Wrexham and redevelop another site in the town, creating 150 new jobs. 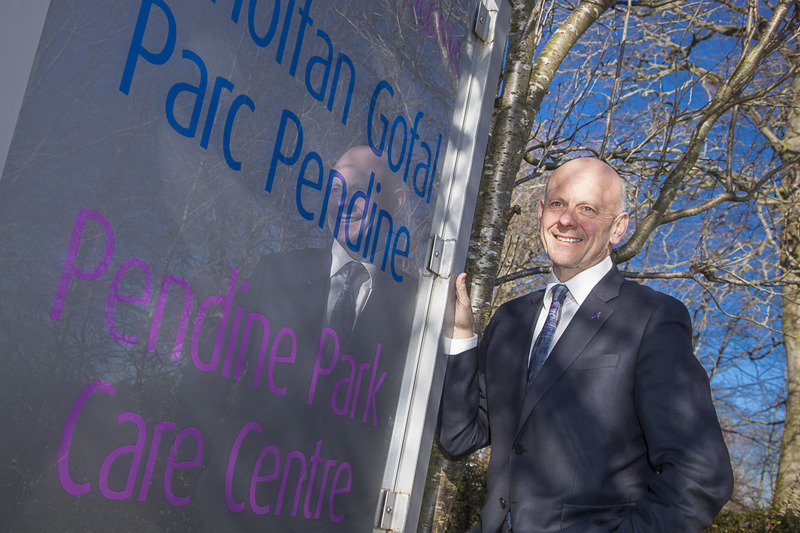 Pendine Park say they are responding to the huge need for more specialist care because of the soaring number of people aged 85 and over which is due to double over the next two decades. According to proprietor Mario Kreft MBE, the inward investment will also provide a major boost to the local economy. The design of dementia centre at Pendine Park’s site in Summerhill Road will be based on their award winning Bryn Seiont Newydd home in Caernarfon which was named as the best new care home of its kind in the UK after it opened in 2016. In parallel they are aiming to redevelop their Hillbury care home across town in Hightown. Pendine Park was founded in 1985 by Mr Kreft and his wife, Gill, after they failed to find suitable care provision for their own grandparents. They now have eight care homes in Wrexham and Caernarfon which between them employ more than 800 people. The organisation has won a huge number of awards for their arts-related activities to enhance the lives of their residents. An outline planning application has been submitted to Wrexham County Borough Council in relation to the Summerhill Road site. The new home would provide accommodation for up to 50 residents and would include treatment rooms, lounges, kitchens, washing and storage facilities. The site is currently designated as Green Wedge land in the council’s Local Development Plan but Pendine Park maintain it is should be seen as part of their operational business and not open countryside. The single storey property would be built on what is currently waste ground. Mr Kreft said: “We have to make Pendine sustainable in the long term, and that requires that we continue to develop our services for which there is a very significant community demand. “Because we’ve already been working in the town for over 30 years, we have grown organically to meet the needs of the community, and we’ve identified that there is going to be still further need within our community here in Wrexham over the next 10 to 20 years. “That very much chimes with the demographic projections and particularly those people with dementia, with conditions that make it highly unlikely that they could sustainably remain at home without the most intense sort of family and community support package. “The Census projection figures to 2035 indicate a 119 per cent increase in the elderly population in the area over the next 18 years and confirms the largest growth will be in the 80 plus age bracket. “As a result, we’re looking to develop a specialised service, and in the first instance we are seeking outline planning permission. “If we were to be successful in that we would wish to move forward very quickly with detailed plans and we would hope that by the end of 2020 we would be able to create significant extra capacity in Wrexham and probably a further 150 jobs while at the same time sustaining the 800 jobs we currently have between Wrexham and Caernarfon. 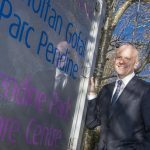 “At the Summerhill Road site we want to build a new centre of excellence along the lines that we have created in Caernarfon where we have created over 200 jobs and increased the dementia services in North West Wales. “This would allow us some extra capacity to start to sympathetically and sensitively develop some of our existing older stock which we believe is desperately needed because it’s not going to be sustainable in the long term. “The openness and character of the countryside will be maintained and integrated into future development on site through regular planning controls other than a Green Wedge policy, and sensitive development at Pendine Park cannot and will not jeopardise the core purpose of the Green Wedge policy as previously discussed in this statement. “We want to reconfigure our Hillbury along the lines of best practice for the future and having extra capacity would enable us to redevelop in a sympathetic, staged way because we want to maintain services while this is going on. “We’re responding to need. If you look at all of the trends all of the figures all of the census, it’s showing what everyone now understands to be an ageing society. “I think as people also understand how important social care is to our economic fabric and has been identified by the Welsh Government as one of four foundation sectors of the Welsh economy.